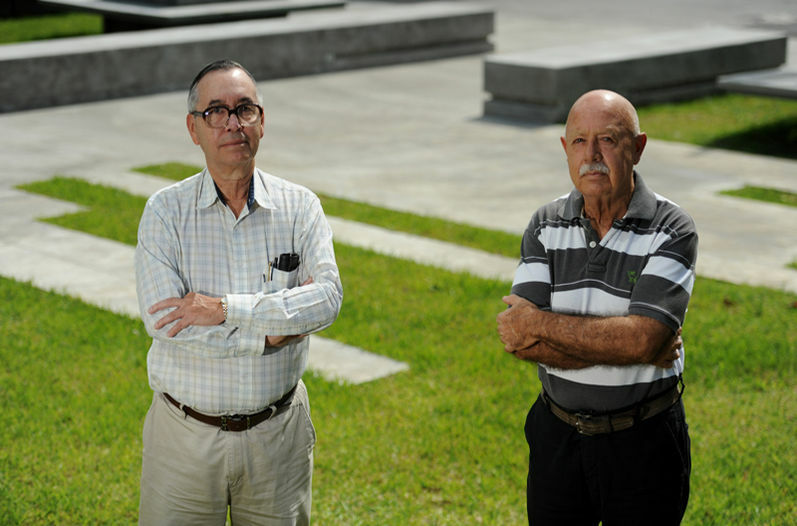 I knew Alvaro and Mario when they were students at the University of Costa Rica in 1968. I was a Peace Corps volunteer helping to establish a wildlife office in the Ministry of Agriculture. After months of field work, Alvaro offered to help me publish the results of my wildlife inventory of Guanacaste Province, then the fastest developing part of the country. Rapid habitat loss was calling into question the future of many vulnerable species, and we were determined to bring the issue to public attention and perhaps gain enough political traction to propose conservation areas. Alvaro and I co-authored an illustrated series of articles in La Nación, titled “The Endangered Wildlife of Guanacaste.” We assisted the inauguration of Santa Rosa National Park, the country’s first. Then Mario became first director of their newly created NPS and appointed Alvaro Director of Santa Rosa NP. Alvaro and I fought off encroachments on the infant park from cattle ranchers and poachers. He describes our adventures in The Quetzal and the Macaw . At that time, Costa Rica had no public conservation areas, laws, programs, professionals or environmental ethics as a country – just the commitment of a few scattered individuals trying to do whatever they could. Alvaro, and our friend Mario Boza, who was also a student at the time, were learning some of the basics on park planning from Dr. Kenton Miller, then based at an OAS research facility now known as CATIE. Years later, we collaborated again to host the first month-long Middle American Workshop on Environmental Education, assisted by the US NPS and FWS. In the mid-1980s, I took a two-year leave of absence, under the Endangered Species Act, to participate in the planning of Braulio Carrillo National Park. I also helped plan and review management of Palo Verde NP, designated as a Wetland of International Importance. A few years ago, I guided a Winona State University Travel-Study class to Costa Rica’s Nectandra Cloud Forest Reserve, where we visited the watershed project’s headquarters, established and directed by Alvaro Ugalde, in his retirement, after over a decade of service as Costa Rican National Parks Director. Alvaro and Mario had been awarded the Getty International Award for Conservation – they gave the money to their NP Foundation. In 2006, Alvaro and Mario invited me to lead a delegation of six ex-Peace Corps volunteers back to Costa Rica for the celebration of the 35th Anniversary of Santa Rosa NP. It was also the 150th Anniversary of the Battle of Santa Rosa, when heroic farmer-militia leader Juan Santamaria drove the gringo “filibusters” back to Nicaragua. Ironic that another group of gringos would be guests of honor during the celebration! We were presented with bronze plaques of the historic “casona,” recognizing us as “co-founders of parks.” We were proud to be called “Ticos” among old friends. Our friendship developed around a shared vision for Costa Rica’s conservation future, when an environmentally literate population and government would support wild land and wildlife resources as both an economic and cultural treasure. Over several decades, that vision evolved institutional legs, as Alvaro and Mario led the development and implementation of a comprehensive conservation and economic development strategy that actually worked.